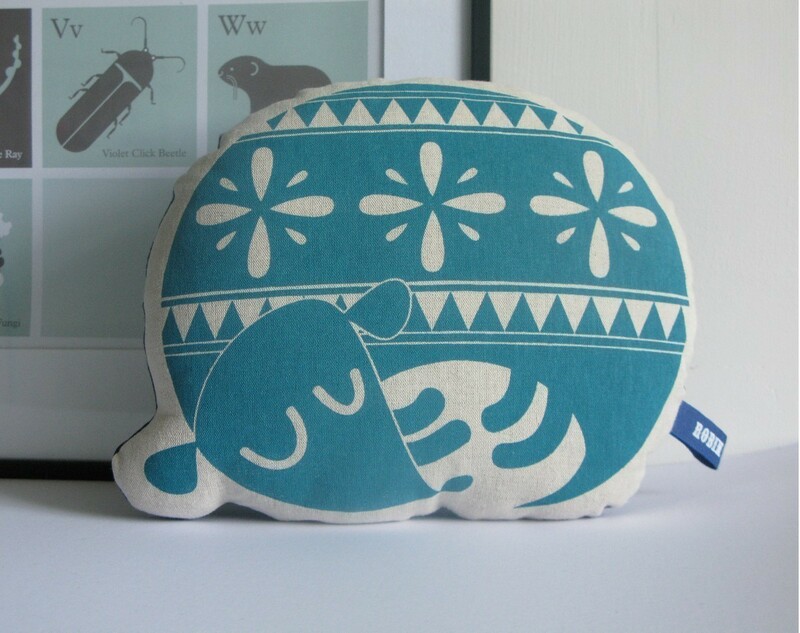 Some fun retro-feel pillow-toys today from Robin & Mould. Their products can be found on their Etsy site and they have a neat little blog here. 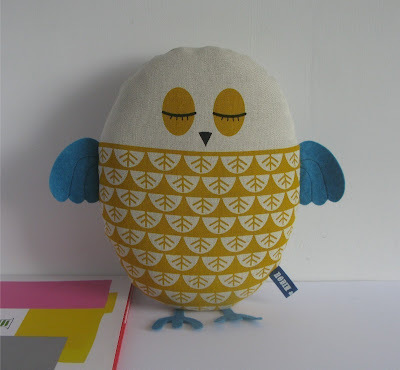 The sweet little Owl above will add some personality to any little nook. Hand screen printed on a heavy natural linen/cotton mix and handmade in their Wiltshire studio. Size: 25cm x 20cm. USD $24 / €19. I love sleepy little dog! Reminds me of the slug. Size: 24x20cm (9.5-8"). US $20 / €16.